Pompadour is partnering with the Angel Foundation for a premiere event to benefit families facing cancer diagnosis. During the hours of 12-7pm any and everyone is welcome to book an hour long appointment slot (waxing = 15 min appointment) with any of the experienced, passionate stylists of Pompadour. You may book your appointment by calling the salon during its business hours or book online by clicking our event option. 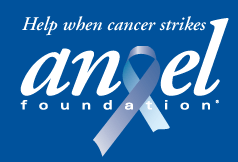 Angel Foundation was founded in 2001 to support families when cancer strikes. They offer emergency financial assistance, family education and support to those impacted through housing payments, food, utility and fuel costs, social gatherings, education and support series, Camp Angel and teen outreach. To get help call (612) 627-9000 or go to mnangel.org. Find Us / 3743 Nicollet Ave. Copyright 2019. All Rights Reserved. Made with by Jen Brigham. Who would you like to book with? Select your stylist from the dropdown below.